Huzir works across different media, art forms, and genres, telling stories and designing experiences that allow people to access complex ideas in simple, personal, human ways. He is a co-founder and Creative Director of Studio Wong Huzir. In the redesign of the National Museum of Singapore, Huzir was part of a four-person team that conceptualised the spaces and created the narratives of the History Galleries; he also wrote and directed three short films that form part of the permanent collection. In 2009 he worked as the Creative Director of the observation deck on the 124th floor of the Burj Khalifa, the world’s tallest building. 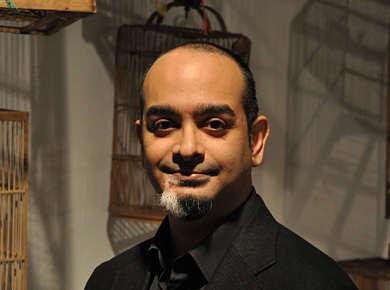 Huzir is also a Joint Artistic Director of Checkpoint Theatre. A celebrated playwright, his 15 plays range from the internationally acclaimed satire Atomic Jaya (1998) to The Weight of Silk on Skin (2011), which won Best Original Script at the Life! Theatre Awards. A collection of his work, Eight Plays, is published by Silverfish Books. Huzir also writes for film, television and newspapers. His fortnightly column, Wide Angle, ran in The Star from end 2006 to early 2009, and his comment pieces have appeared in The Huffington Post, among other publications. Huzir teaches playwriting at the National University of Singapore. In March 2012 he directed City Night Songs, a critically-acclaimed devised musical. Huzir graduated with a Bachelor of Arts in English Literature from Princeton University, where he won the Bain-Swiggett Poetry Prize. He was a 2007 Yale World Fellow, one of 18 mid-career professionals from around the world taking part in Yale University’s highly selective public policy and leadership training programme. A lawyer, theatre director, filmmaker, and performer, Claire is a co-founder of Studio Wong Huzir and serves as its Senior Consultant. She is also the Head of Corporate Communications for Rodyk & Davidson, Singapore’s first and oldest law firm, where she also oversees the firm’s in house training programme, and is a Joint Artistic Director of Checkpoint Theatre. Claire graduated from the National University of Singapore with a Bachelor of Law (Hons). She practised law first as a litigation associate and later as a corporate partner. Her corporate practice covered both Singapore and the region. She worked at the law firms Allen & Gledhill and Helen Yeo & Partners in Singapore and Freehills in Sydney. While practising law, Claire also carved out a career in theatre as an actress and director. She has received training in both Asian and Western performing arts, and obtained her Master of Fine Arts (Theatre Arts) from Columbia University. Claire is known for playing leading roles in landmark Singapore stage productions and has performed internationally in major arts festivals. 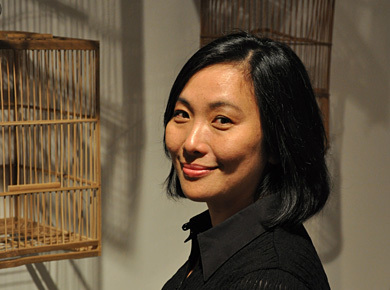 Claire co-directed the Singapore Arts Festival commission Occupation which was described by the press as “a triumph of a production”. She received the Life! Theatre Award nomination for Best Director and also writes, directs and performs for the camera. For Singapore’s Arts Central channel, she wrote and directed the television film Project Peter. She directed and script edited the training video Spa Wars which was commissioned by the Singapore Mediation Centre and is used in the Centre’s associate mediator accreditation course and mediation training programmes. Claire has taught at the National University of Singapore, at both the Faculty of Law and in the Theatre Studies department.